Born and raised in Pottstown, PA, Jessica received her Associates degree in Education and a Bachelor's Degree in Human Services with an emphasis on children and family. 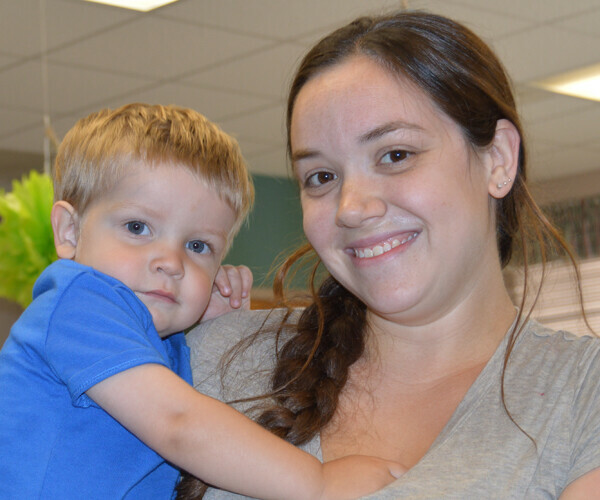 Jessica has served as the Nursery Supervisor since December of 2016. She creates lesson plans and helps the nursery workers care for the infants and children of CUMC. Jessica lives in Carlisle with her husband, Cory (who is a corrosion technician at Texas Eastern) and her son: Elijah. Prior to moving to Carlisle in 2015, Jessica and her family lived in Middletown for a few years, as well as Hershey for a year. Jessica enjoys reading, writing, traveling, hiking with her family and spending time back home with her extended family.